The Oakland Raiders have ushered in a full-fledged rebuild after trading Amari Cooper to the Dallas Cowboys in exchange for a 2019 first round draft pick. 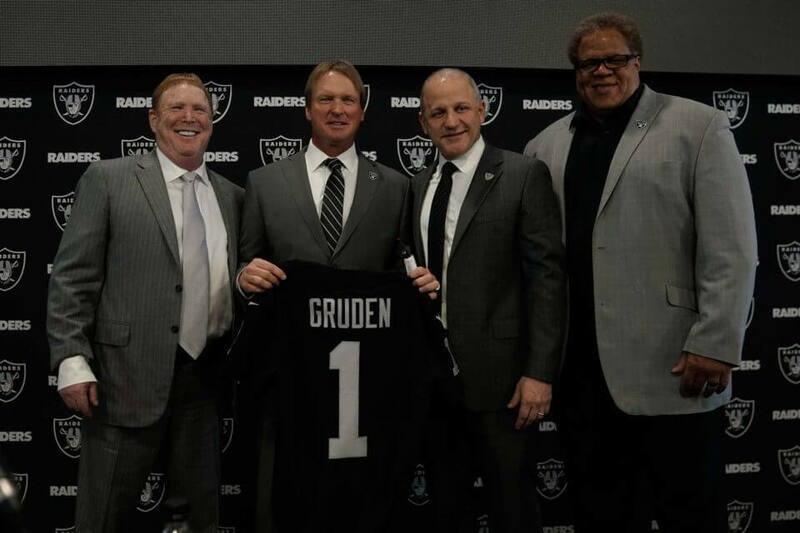 It appears head coach Jon Gruden and general manager Reggie McKenzie have differing views on any further potential trades. “I’m not going to say anyone’s untouchable,” McKenzie told reporters. “Now, in my heart of hearts, would I hate to lose some players more than others? Absolutely. I know the difficulty in replacing [certain guys], at certain positions I feel stronger about than others. However, according to Chris Mortensen of ESPN, Gruden says that will be the last trade the Raiders make this season. Needless to say, it is difficult to gauge which outcome is more likely. It is no secret that Derek Carr has been at the center of all this recent speculation. The prospect of Oakland dealing Carr does not seem too far-fetched at this point. However, the bigger concern is how these two do not seem to be on the same page. It is safe to assume that their bevy of acquisitions this year have been a collaborative effort. Then again, this is not the first time they have offered differing viewpoints on a notable trade. Back when the Raiders traded Mack, McKenzie expressed heavy remorse over the deal. Meanwhile, Gruden always seemed to allude to all the other voids in the defense whenever Mack’s contract negotiations would come up. It appears they have now taken opposite stances when it comes to any other potential trades moving forward.